A novel of magical realism that encompasses love, aging, and the role of memory, The Black Rose of Halfeti takes readers on a journey through the landscapes of Turkey. 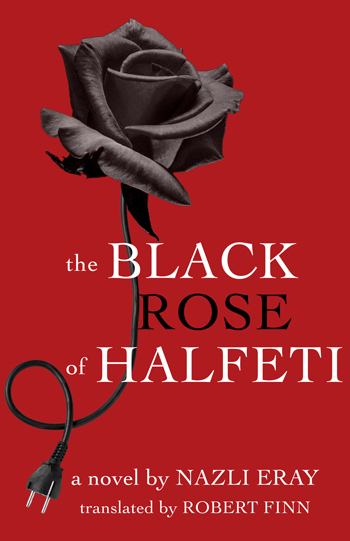 The Black Rose of Halfeti opens with a letter delivered at midnight in Ankara, Turkey. In this letter, an elderly doctor who has begun to experience the first signs of dementia professes his love and desire for a relationship with the narrator, a woman in middle age beginning to contemplate her own mortality. From there, the novel moves between Mardin, Izmir, and Ankara; the past and the present; and the real and the imagined as the narrator seeks to know the doctor both in his prime and in his struggle to hold senility at bay. In these dreamlike landscapes, the author effortlessly introduces King Darius, the Spanish director Luis Buñuel, the actress Silvia Pinal, and the archetypal dream woman as the narrator’s guides in her efforts to understand the human psyche. Nazli Eray has established herself as a master of magical realism, the perfect tool to bring to life this poignant meditation on love, aging, and the role of memory. And, as in her earlier novels, she paints vivid images of the urban landscapes of Turkey, capturing both the present and the past. Eray’s large body of work, which includes short stories, novels, and plays, has earned her a devoted following in Turkey and beyond. This is her third novel to be translated into English. Finn taught Turkish literature and international relations at Princeton University and has published numerous translations, including works by Nazli Eray and Orhan Pamuk. He is also the author of The Early Turkish Novel, 1872–1900.